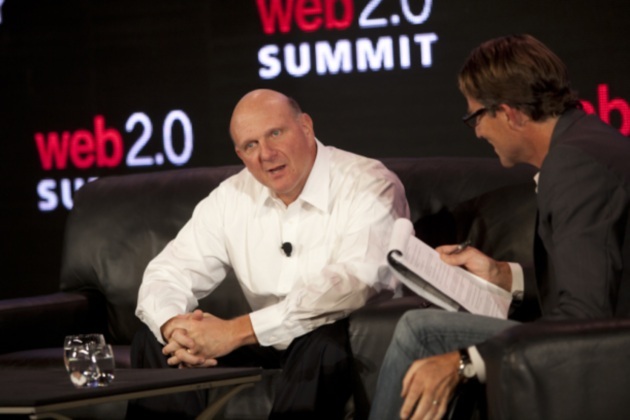 Steve Ballmer is not known for holding back and at the Web 2.0 Summit on Tuesday, the Microsoft CEO tossed out some decent one-liners. Attacking Google search, Android, Yahoo, and touting the company’s recent purchase of Skype, Ballmer let loose, as he often does. Below are some select quotes. The quotes in this article were compiled from the Telegraph, InformationWeek, CNET, and Internet Evolution.